This is one of a series of works by renowned photographer Henry Reichhold which features in the exhibition Thames – Heart of London, currently on show at Blackfriars Thameslink railway station. 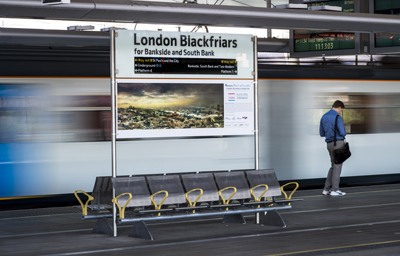 Thameslink and JCDecaux have provided 49 platform advertising sites for the display, part of the Totally Thames celebrations taking place throughout September. 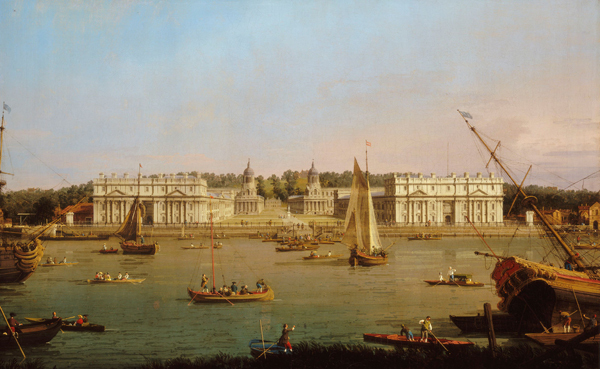 The photographs, which measure 2.5 metres long, are an attempt to capture the character of the Thames as it winds its way through the city and were taken from a series of notable vantage points including the Shard, City Hall, OXO Tower, One Canada Square, Southbank Tower and the Houses of Parliament. As well as the river itself, they also capture some of the many events which have taken place upon it – from the Diamond Jubilee Pageant to New Year’s Day celebrations. Each image has taken between one and three weeks to create from up to 100 separate photographs – selected out of more than 800 taken on a single day – which have then been put together in a stunning panorama. New York-born Reichhold says the process of “extracting” the final image is “never the same”. “The camera is very stubborn about creating a ‘mechanical’ view and it is the reinterpretation of these files to in some way reflect what the human eye sees that I find so troublesome and fascinating.” The exhibition is at Blackfriars Station, 179 Queen Victoria Street, London, and runs until 30th September. Entry is free to passengers with a valid GTR train ticket and to holders of a 10p platform ticket.